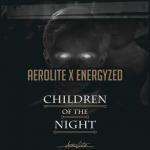 Track two of two of my two track EP "Children" together with Energyzed! we finished this long ago but didn't release it but as some of you know someone has been selling the project file to this track and we didn't think it was fair that those people got to hear this track and you guys didn't. A bunch of people have been asking for us to release this track as well so here you go, Enjoy!